New This Summer: Reserved Seating at Our Outdoor Shows! For the first time, you can reserve seats ahead of time for our summer performances at Cornell Plantations. Get the best seats in the house without having to get there early! Reserve seats on our website now! We still need ushers for most performances this summer. Sign up to help us make these events a success! or e-mail us to sign up now! 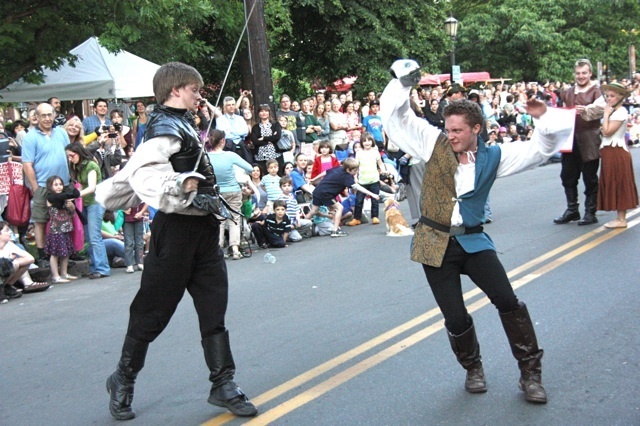 This will be our tenth summer of offering free or "pay what you can" performances of Shakespeare at Cornell Plantations. We've come a long way to reach this milestone, and we want to make sure the next ten years are even better. Help us celebrate our second decade by making a donation of just $10 on our website. That's just $1 per year of our performances! A gift of just $10 from everyone on this list would be a tremendous boost to our organization, helping us move into our second 10 years with even greater confidence. Please visit our website to make a quick, secure online donation, or to find instructions for donating by check. Thank you for supporting a decade of our work! Are you or is someone you know coming from out of town for the last week of performances? A limited number of vacation packages featuring discounted hotel stays and special meal offers are available. See the details on our website. 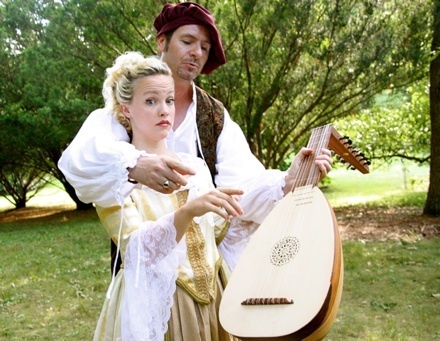 The Tenth Anniversary of Outdoor Shakespeare at Cornell Plantations! Two forces of nature collide when Katharine and Petruchio go head to head in Shakespeare's classic battle of the sexes. Add in a foolish drunk, a mischievous lord, two disguised lovers, three tricky servants, a widow, a fake father, a dangerous lute, and multiple cases of mistaken identity, and you've got a recipe for plenty of comic mayhem. A brilliantly structured comedy that asks us to think carefully about the place of women in society...and the foolishness of men who think they have any say in the matter. The most famous love story of all time, told with renewed intensity by the ISC. Love, hate, fear, pride, defiance, revenge...From the opening battle between warring families to the final tragic conclusion, get swept away in this tale of overwhelming emotion, dazzling swordfights, and poetic passion.